The Leicester D.G. first winners of the W. W. Worthington Memorial Trophy. 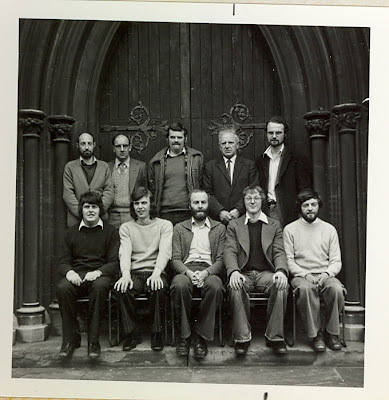 – Back ( l. to r.): R. K. Mason, R. B. Smith, W. A. Lacey, D. R. Pettifor, A. J. Poynor. Front: J. M. Jelley, Ann Black, R. H. Cook. Carol N. J. Franklin, P. J. Staniforth. This new open 10-bell competition for the W. W. Worthington Trophy was held at St. Paul’s, Burton-on-Trent, on April 22nd, and attracted entries from most of the leading Associations in the midlands area. The entry had been restricted to seven teams and [all] were present, together with num­erous friends and supporters. The test piece was a true 400 changes, comprising half-course of Cambridge Royal and 198 Stedman Caters. Each band had 35 minutes to try the bells and complete the test piece. The tricky change over from Cambridge to Stedman presented few problems and it was evident that some rehearsal time had been spent. Buffet facilities provided were well supported – a useful contribution towards the cost of staging the event. The judges (Messrs. Denis Frith and Brian Buttery) presented their comments in a lively and entertaining manner. The teams were placed: – 1 Leicester DG (28 faults); 2 Worcestershire & Districts Association (30); 3 Midland Counties Guild (46); 4 Derby DA (52); 5 St. Martin’s Guild (60); 6 North Staffs. 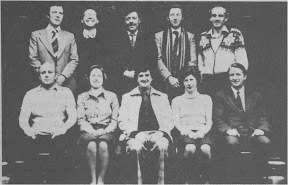 Association (83); 7 Staffs. 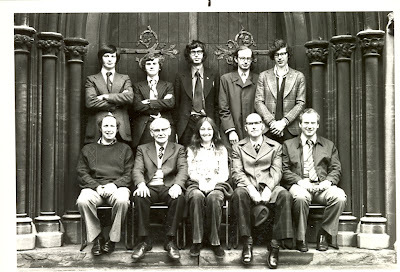 Archdeaconry Society (92). Mr. Ben Worthington presented the silver trophy to Mr. Roland Cook (Leicester DG). Mr. Cook, in replying, commented that such events helped to foster the social side of ringing as well as the pursuit of accurate striking. 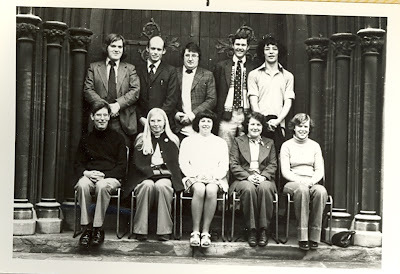 The social activity then continued in the “Star & Garter”. Next year’s competition will be on April 7th at St. Paul’s, Burton. David G Franklin, Phillip M Orme, David Beacham, M Louise Slater, John C Slater, John S Stanier, Martin D Fellows, C Michael Orme, Andrew D Evans, Ian Westwood. 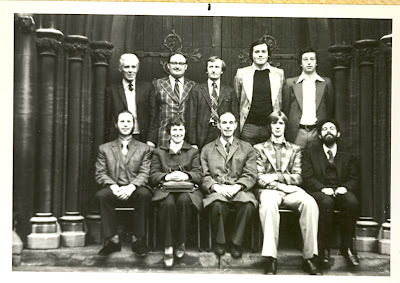 Clive G Bryant, Gordon A Halls, Janet S Foulds, Harold Taylor, David W Friend, David Hird, Stephen B Queen, Michael Foulds, Robin Turner, Timothy A Swift. 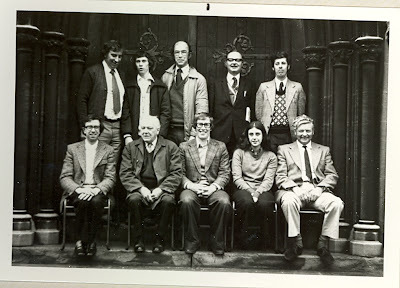 Walter Sherratt, Lesley J Hall, Michael Wilshaw, Frederick E Wilshaw, Raymond J Ballard, Ralph B Mitchell, Timothy M Davis, David J Midgley, Norman Sherratt, Harold Dowler. 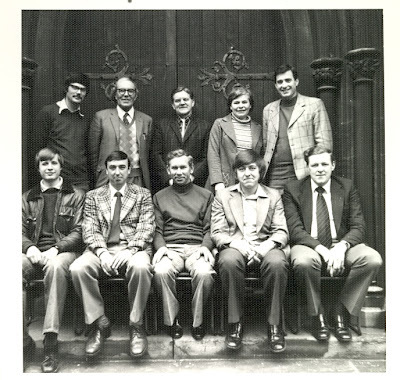 S Geoffrey Pick, David C Everett, Philip J Day, M Pomeroy, David C H Simpson, Ian Friend, Clive M Smith, John P Burton, Eric E Speake, Philip R Johnson.